America has the knack of taking a good idea and turning it into something of spectacular value. The alumni network is a great example. It’s good for students, who become part of a global network of wellwishers. And it’s good for universities as grateful graduates give generously to their alma mater. It nurtures bonds, reinforces values and school spirit, and creates a strong, large and close community. Two decades ago, when I graduated with a PhD from the Wharton School, I became part of the alumni network of the world’s first and top-ranked business school. Wharton is part of the University of Pennsylvania, so I am part of two concentric circles of alu­mni. In Bangalore, our numbers are small, so we have grown to be a close-knit group. When we get the urge to mix with more people, we organise an Ivy League and Seven Sisters event. Mumbai probably has the largest number of Wharton alumni in India. But there I have observed two distinct castes: the industrialists and the professionals. The alumni connection bridges this divide. Keshub Mahindra and Anil Ambani are two notable industrialists who are Wharton alumni. Ambani once hosted an alumni event featuring Amit­abh Bachchan which Seedfund’s Bhar­ati Jacob and I attended. Big B spoke lucidly on ‘The business of films—films as a business.’ He talked frankly about the lessons he learned from his ill-fated ABCL venture. I spoiled the love fest a little by asking about another ill-fated venture—his political career. Big B gave me a convincing response. Wharton alumni in India can also be found in academia and even politics. Our previous director at IIM Bangalore, Pankaj Chandra, was my senior during our doctoral days. In politics, Union minister Sachin Pilot and Rahul Gandhi’s right-hand-man, Kanishka Singh, are Wharton graduates. Politics nearly divided our close set of alumni recently. An outraged upsurge on the Penn campus had led to the Wharton India Forum (a student group) withdrawing its invitation to Narendra Modi to address its conclave over a video-conference link. Team­Lease founder Manish Sabharwal wrote that withdrawing the invitation was not honourable. Other alumni were angry that the forum had allowed the Wharton name to be used to lend legitimacy to a leader they considered divisive and controversial. But we have all moved on from that fracas. A clear cultural difference between America and India is that here we frown on recommendations and using ‘influence’. In the US, even in the midst of meritocracy, helping fellow alumni is seen as just doing one’s bit for a beloved social network. The implicit assumption is that if Wharton admitted you, you were meritorious enough. Two decades ago, before the BRIC rep­ort had made India a power to watch out for, I was teaching at the University of Oklahoma. I received a call from an acc­omplished American lady who had got her MBA while I was also at Wharton. She was interviewing for a job and the decision-maker was an Indian I knew at Wharton but some years senior to her. Could I put in a word? Surely! After the call, I turned to my wife and said, “When American Ivy Leaguers turn to me for help, I must have arrived!” Well, I departed soon after, once I secured my tenure and pro­motion. 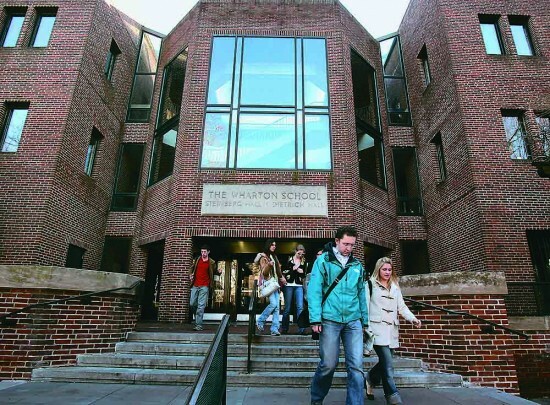 Happily settled in IIM Ban­galore, I regularly get to meet Wharton professors since they come down to the Indian School of Business which was set up with their help. I have also been able to see alums dramatically transform their lives and missions. When he hea­ded Bank of Muscat, Samit Ghosh used to talk passionately about how the urban poor need better financial services. He went on to found Ujjivan, an outstanding urban microfinance firm. Vivek Kul­karni organised successful IT.Com trade fairs when he was Karnataka’s IT secretary. He has now founded Brickwork Ratings. My fellow alums are eagerly awaiting my transformation from professor to parliamentarian! As I proceed on that challenging journey, I gain strength from knowing that whenever I need advice and support, I can count on my Wharton alumni network to be there for me. Politics is expensive. MPs need a hike to stay afloat—and honest.